PennsylvAsia: Sushi: The Global Catch at Carnegie Mellon International Film Festival. Sushi: The Global Catch at Carnegie Mellon International Film Festival. 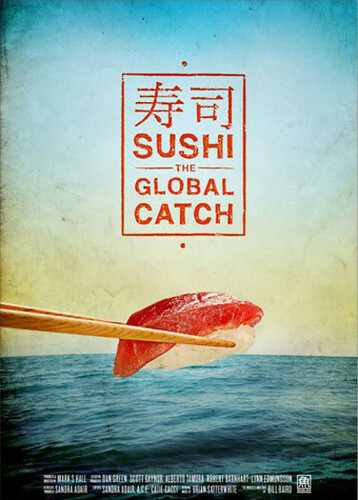 Advance notice for this, but Carnegie Mellon will show the documentary Sushi: The Global Catch as part of its 2013 International Film Festival on April 10. Details to follow, but the festival will run from March 21 through April 14 (the website gives multiple variations on this range) and hopes---according to festival organizers---to include various cultural activities and presentations to promote Japanese culture in general and Japanese community in the area. one the film predicts could be high. To keep up with never-before-seen demand for sushi, commercial fishing companies have stepped up their efforts to catch wild bluefin tuna and others have begun experimenting with bluefin tuna farms, such as a group off the coast of Lincoln, Australia. Through interviews with marine biologists, industry professionals and restaurateurs, the film makes a compelling case that both fishing trends are environmentally unsustainable, depleting the bluefins to dangerous levels and impacting the overall ecosystem in which they participate. Outlining the process that brings tuna from the boat to the plate is just one of the building blocks of the film's larger argument about the economic and environmental impact of the sushi industry. Although The Global Catch initially considers sushi broadly, it takes the food's ubiquity for granted, merely glancing at its role in the culture and its global culinary influence as it speeds toward its essential focus: conservation.